A brand-new theatre group packed with a political punch is declaring war on negative stereotypes. 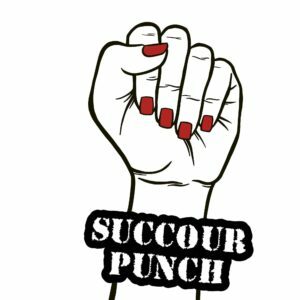 Succour Punch formed this year after a variety of Liverpool-based performers were gathered by Artistic Managing Director, Sarah Sharp, with a question about what drives their creativity. 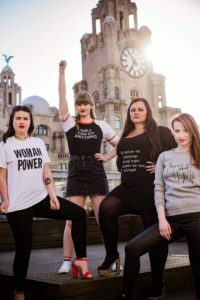 This led to the founding of Succour Punch Theatre, where the rest of the team of Jazz Jago, Faye Draper and Ciara O’Neill, found common ground with their desire to create work for the purpose of driving social change. Some may believe that political and social issues are not their concern, but this group of strong women aims to change that by “empowering society to care more about humanity than vanity”. The group discusses and challenges important social, sexual and gender injustices, with a particular focus on feminist agendas. Their goal is to break down misconceptions surrounding the word ‘feminist’, whilst supporting fellow women. As a collaborative creation, it is vital to the company that its debut show will be a true reflection of the group’s identity. The 24-year-old said: “It is important for our team to fully represent the diverse issues of sexual and gender injustice. “We are not ignorant to the fact that as a team of cis-gendered, young, white women, we have a certain amount of privilege. This natural ignorance is something we wanted to strive to overcome. Their premier tour will begin on Wednesday November 21st with their debut show ‘Stripped’ at The Arts Centre at Edge Hill University.